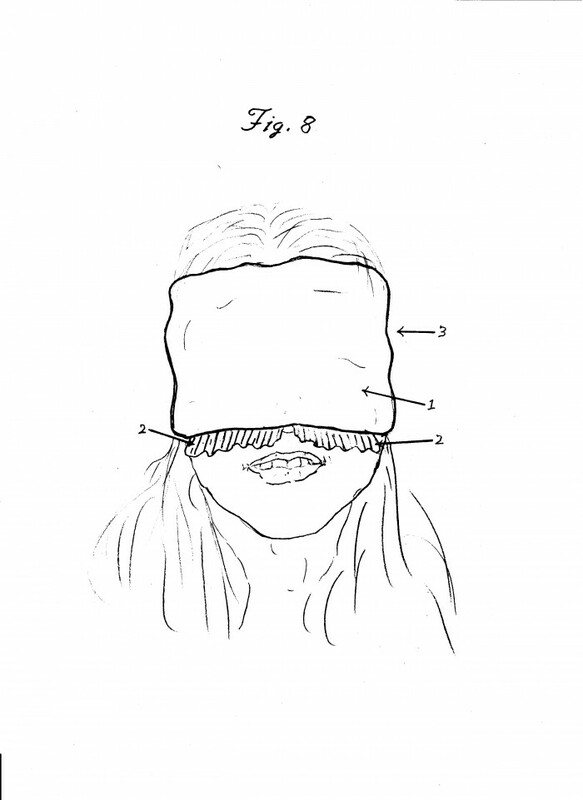 My patented invention is a one piece, slip-over, light blocking sleep mask. 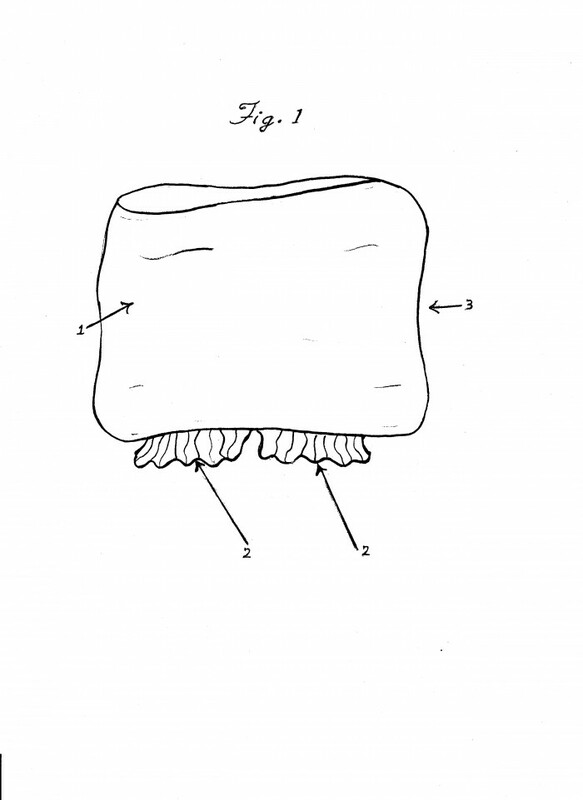 I was just recently granted this patent : although it is very simple in design, no one has ever patented this. 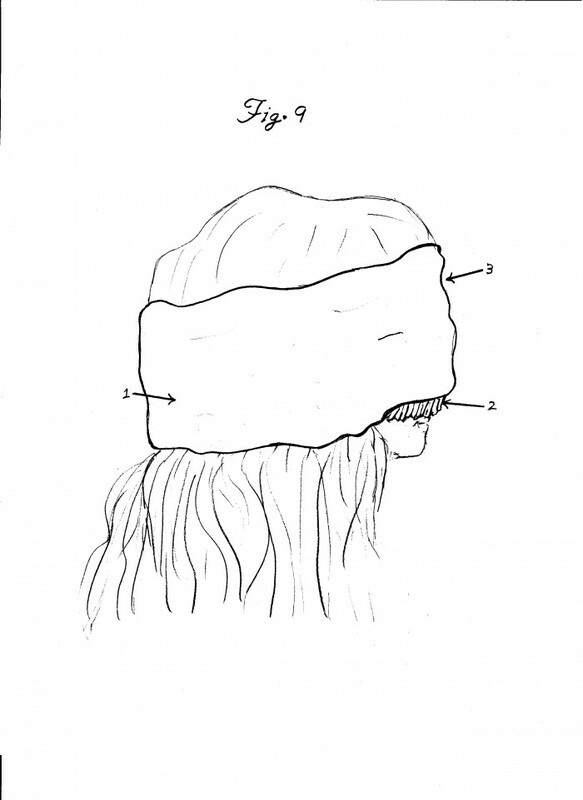 It's a one piece, very soft tubular-shaped piece of fleece-like material with soft, ruffled-layered pieces of very thin, soft material permanently attached on the inside of mask that completely fill in any gaps that would allow light to enter in below the eyes and top of the nose areas. You slip it over your head- in one shot- keep it on your bed, night stand, hanging on a lamp, off to the side, etc. Very cheap to make. Priced for 3 or 4 dollars at Target, Walmart, drug stores, HSN, ASOTV, etc . Perfect for past Lasik eye surgery people sensitive to light. Completely blocks out light in any room or situation. No connecting straps or bands to snag, move or break. The one piece, fit-over design fits snugly, but gently, to the face and does not shift location while moving one's body during sleep. No lumps in the back of the head from Velcro-connection pieces, or any other uncomfortable knots, staples, elastic- band connectors, etc etc. No connection pieces at all. One size fits all- snugly and perfectly, and the thin, ruffled- layered folds of material above nose area, permanently attached beneath the mask, automatically shift and fill in any 'light-entering' gaps below eyes and around nose area- no matter 'what' size face and head. 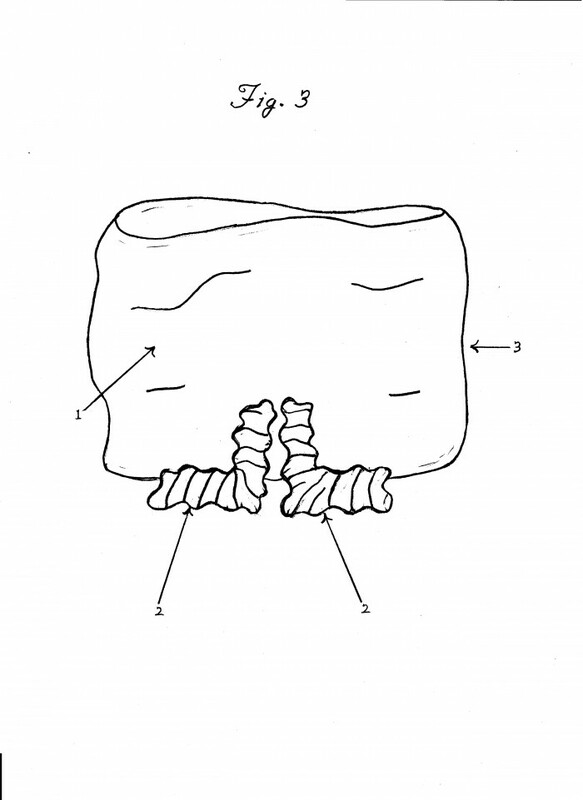 It's the very thin, multiple-layered pieces of material that's the trick. The fluffy, "thick" soft pads of material used under the other crappy masks used for centuries NEVER worked. They always allowed for tiny 'peeping' holes under the eyes and surrounding nose area. The thick fluff always allowed for a space or hole to be there. You know it; I know it. Light always got in through the bottom. Completely washable, and so cheap in cost, that people could always buy new. 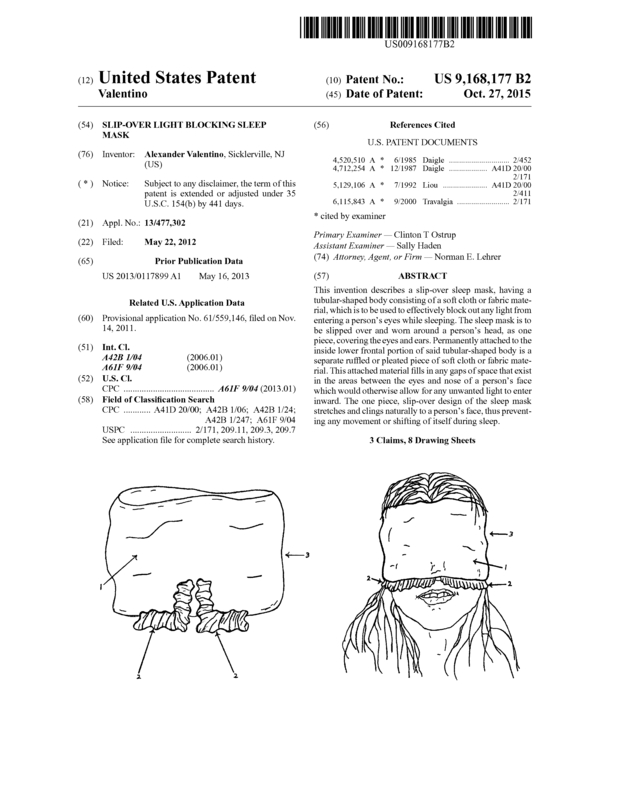 Page created at 2019-04-25 0:33:58, Patent Auction Time.